John G. McHenry, M.D., M.P.H. (Dallas) - Book Appointment Online! 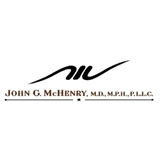 John G. McHenry, M.D., M.P.H.